THE JUSTICE DAY in INDIA!! चारा घोटाला !!! Fodder Scam !! 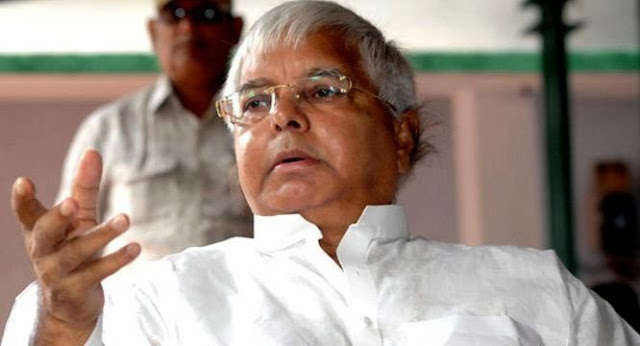 TWO Ex-CM found guilty- Lalu Prasad (RJD), Bihar ex-CM Jagannath Mishra (Congress ) & JD(U) MP Jagdish Sharma found guilty in fodder scam, quantum of sentence will be pronounced on 3 Oct and may face 5-7 years in jail and will definitely lose his MP seat. And will not be able to fight elections anymore ! NEXT in line is the current Chief Minister Nitish Kumar JD(U) who has similar charges as of Lalu Yadav in same चारा घोटाला Fodder Scam.